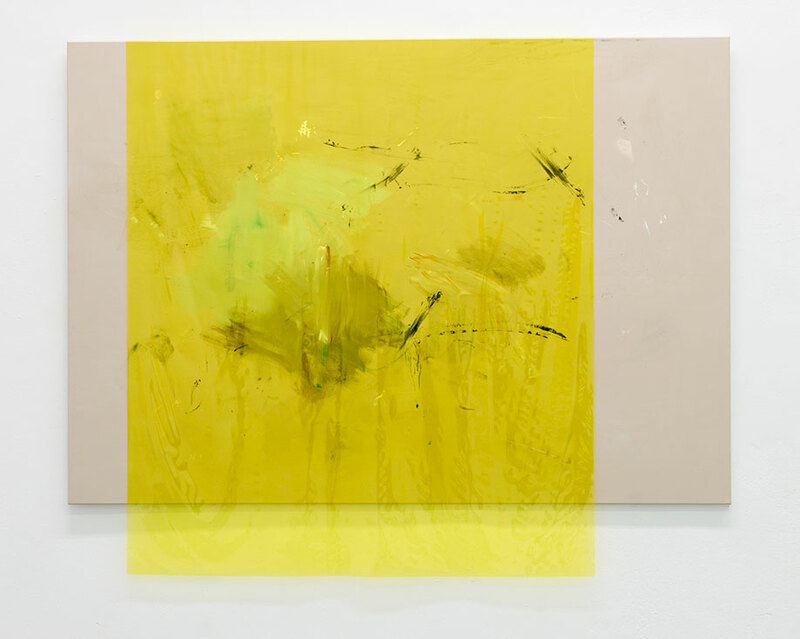 Michaela Zimmer is a Berlin-based painter exploring the momentarily nature of physical movement, and energy. Her background in performance is strongly present in her current practice as a painter. She holds an MFA form UAL, Chelsea College of Arts, London. In the first half of 2018 FOLD, London, Kernel, Spain and fv, Berlin will show solos of her work that focuses on physical awareness of spatial conditions and the images evolving in this context. “labo(rat)ori”, an ongoing performance project with choreographer and dancer Miguel Altunaga was shown at PMAM, London and as part of Perpetual Movement at The Lowry Manchester in co-operation with Rambert, UK last year. Doing that at a time when painting was declared dead again wasn’t very popular, but to me it was a new gateway offering an extended area to my topics. Could you tell us about your process? Labo(rat)ori is a good example for what I described before. Labo(rat)ori as a title refers to experimenting, improvising, responding. It is a collaboration between choreographer Miguel Altunaga and myself, but also a collaboration with dancers Jacob O’Connell, Liam Francis and Stephen Quildan and composer David Preston. The piece is in constant flux, it develops each time we show it in different spaces. Miguel and I have a deep mutual understanding of art which builds the basis of our joint venture. The mere trust in each other’s work prevents us from “illustrating”: I am not creating the stage setting for a dance performance, nor are the movements of the dancers directly related to the gestures in the paintings to talk straight. We have a basic structure on which we improvise, both in dance and painting. Our offer to the audience is to share the experience of our common space and energy.